"Probably the tasting menu at Sons & Daughters, which has reached a new high under Teague Moriarty’s sole leadership. I’m not big on tasting menus any more because they can be trite and exhausting, but the pacing, pairings, and portion-sizing really worked here." 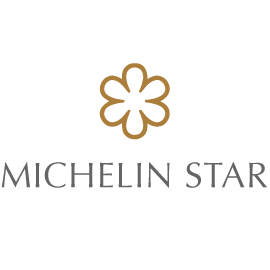 Michelin Guide 2019 - We are proud to have received one Michelin star for the 8th year in a row. "Everyone at this inviting space is warmly professional, including the eager, well-paced staff. Add in the mature, stylish crowd, architecturally detailed dining room—a hybrid between your grandmother’s home and an art gallery with its black-and-cream palette, leather banquettes, and vintage chandeliers—and you’ll be counting down the days until your next visit. Small but mighty, this kitchen under the guidance of Chef Teague Moriarty, turns out a seasonal, nine-course fixed menu that consistently pleases." "This 28-seat restaurant sources seasonal ingredients from local farms for their ever-changing nine-course tasting menu. Make sure not to skip out on their bread and butter—both house-made, both incredible." "The refined, yet straightforward space allows diners to focus on the food coming from the lively open kitchen, where Moriarty is enjoying having "more control over the entire arc of the menu, [where] dishes work better in relation to each other." And with nine dishes that build upon one another to offer playful contrasts in flavor and texture, it is an experience." "It’s the little gestures that keep Sons & Daughters from feeling like it suffers from a seven-year itch. Throughout, there’s a nice combination of steely dedication and relaxed play. Months before the real harvest season, it’s nice to see a kitchen look around at what late spring has to offer and essentially crack its knuckles with anticipation. " "Before the nine-course meal at Sons & Daughters formally began, it was clear that Teague Moriarty’s culinary story was about to unfold: The first bite, displayed in a silver spoon, was a strip of cured squab breast topped with mulberries, dollops of avocado cream and toasted buckwheat groats and shoots. Like a rousing prelude to a Broadway musical, it prodded all the senses and created anticipation, and clues, of what was to come. The meal was carefully crafted, like a great play, with each course getting bolder. " Sons & Daughters a Quick Study in Style, Taste"The menu shows a sense of harmony. They may choose unusual ingredients, but they bring them together in an unexpectedly cohesive way. Like many young chefs, the two effortlessly incorporate foams and powders - vanilla, beet and even bone marrow - while keeping the integrity of the original flavors. I get the feeling that Sons & Daughters, which is a name the owners liked because the entire kitchen staff is young, has become a learning lab for everyone - the bright and enthusiastic cooks, the waiters and the customers." - Michael Bauer, San Francisco Chronicle Dining Update: Sons & Daughters Grows Up"The precision of the dice tells you everything you need to know. While there's lots of activity on each plate, the flavors come together almost seamlessly." - Michael Bauer, San Francisco Chronicle Sons & Daughters Continues to Shine"From the first bite on my first visit, it was clear this was a very skilled team, but each time I've returned, the food and service have continued to improve. . . . Clearly, the chefs are heading for the constellations, and at the rate they are going, they will get there before long. " - Michael Bauer, San Francisco Chronicle Upgrading the Stars at Sons & Daughters ". . . the menu was spot-on from start to finish. The chefs wove together new techniques, traditional luxury ingredients and a few surprises, and still kept everything in balance. Three and a Half Stars." "Their cooking has a polish many long-timers never achieve. Sons and Daughters' food is as exquisite as it is exciting. Each dish, however compact, was intricately stitched together." "Teague Moriarty and Matt McNamara harness foams and powders to make the dewy harvest of farm-centric ingredients even dewier." ". . . this tiny 29-seat restaurant is easy to overlook. But the food is something special – artistic, thoughtful and executed to perfection – with service to match. Dinner is a two-hour experience in excellent service, perfect pacing, and subtle, refined and yet sometimes bold eating – small bites with big payoffs. Excellent in a different way." "If you're the kind of culinary demigod that isn't afraid to make your own bread, then this toast recipe will change your life. A savory-sweet combination of buckwheat flour and peach pits (relieve some stress by busting them open with a hammer! ), Sons & Daughters' peach pit buckwheat toast just became the most important meal of the day." "[Sons & Daughters] represents a welcome evolution of a culinary scene that has moved beyond mere "figs on a plate." The food shows an avant-garde bent, but pays homage to the farm-to-table cookery that Northern California is known for. Technique is utilized to the maximum, sure, but it's not necessarily made obvious to the diner. Instead, the Chefs are doing a bang-up job in showing us all that's great about fresh, local, seasonal product, but just presenting in a slightly new light. These guys are killing it at this point, and I'm betting that they'll only get better with time." For all of the latest on upcoming restaurant changes, events and more - check out our latest news.